This masonry building with the original cast-iron storefront originally consisted of four stories with three windows per floor that was typical of the smaller warehouse and manufacturing structures of TriBeCa. The building suffered a destructive fire that gutted the upper floors and left it in ruin. In the early 1990’s the building was developed into a residential building with major deviations from the historic structure including the addition of two floors, an unrelated new façade and window configuration, and the elimination of significant architectural features. The only remaining historic component was the cast-iron columns of the storefront. It was noted that this particular loss of contextual character helped solidify community and city efforts to create the TriBeCa Historic District. The new façade and exterior envelop of the building was poorly detailed and constructed and in poor condition with chronic water infiltration throughout. 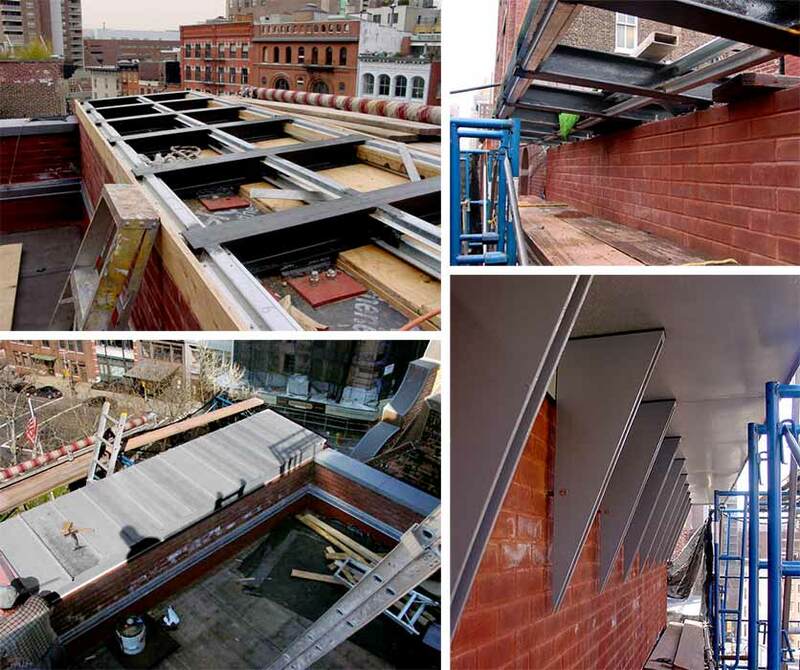 The repair program required a comprehensive overhaul including a re-skinning of the exterior walls and a new facade. Studies of the neighboring 19th century buildings identified a prevalent typology of masonry piers and cast iron spandrel beams and lintels. The new façade design acknowledges this precedent with red brick piers framing exposed architectural ironwork columns and lintels. 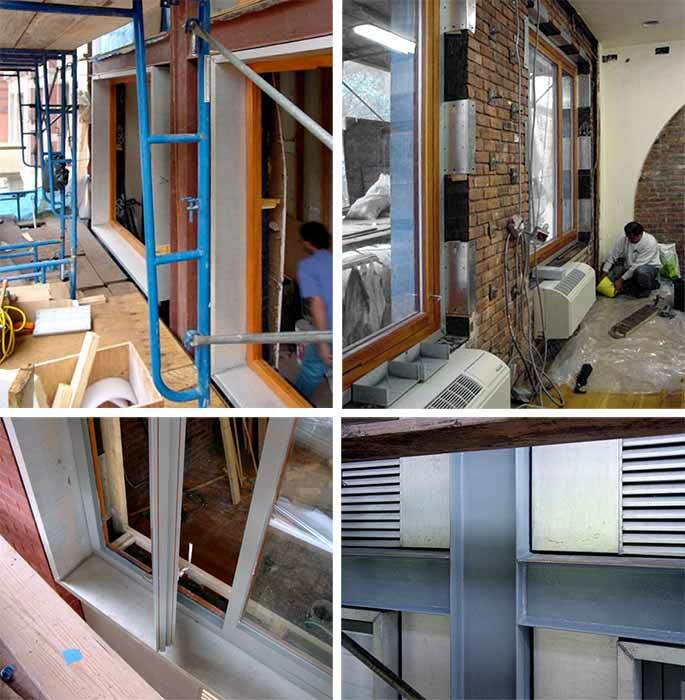 The frame is in-filled with zinc-coated copper window surrounds. The façade assembly includes large center pivoting mahogany windows, an ironwork watertable above the cast-iron storefront, and a projecting ironwork and sheet metal cornice. The project was executed while the building was fully occupied.